An Artist is a series of posts profiling contemporary artists whose work I find interesting. I am a big fan of contemporary art, particularly from North Asia. I am by no means an expert in the field, but on a personal level these are the artists whose work I have liked the most in recent years. Hisashi Tenmyouya is a Japanese artist whose work deliberately straddles a line between contemporary popular culture and art history. 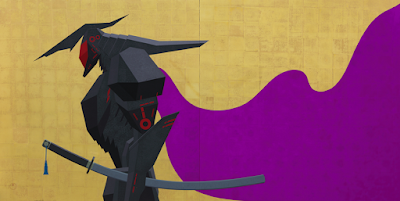 In 2001 he proposed a new style of art he called 'neo-Nihonga', or 'new Japanese-style', which combined traditional Japanese painting with sharply contrasted modern imagery. This style led to what is probably his most famous painting: two samurai playing football, in a commissioned piece for the 2006 FIFA World Cup (pictured below the cut). Tenmyouya works extensively with gold leaf in his neo-Nihonga works, laid down onto wooden boards in a traditional Japanese style. He then paints over the top of the leaf in acrylics. 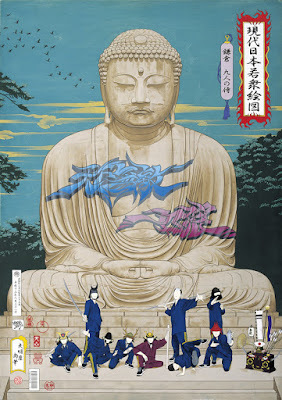 There is a huge amount to love in these works: the blending of style, the combination of realist art, manga/anime and graffiti-style imagery, and a sort of deliberately absurd humour caused by the cultural clash that results. 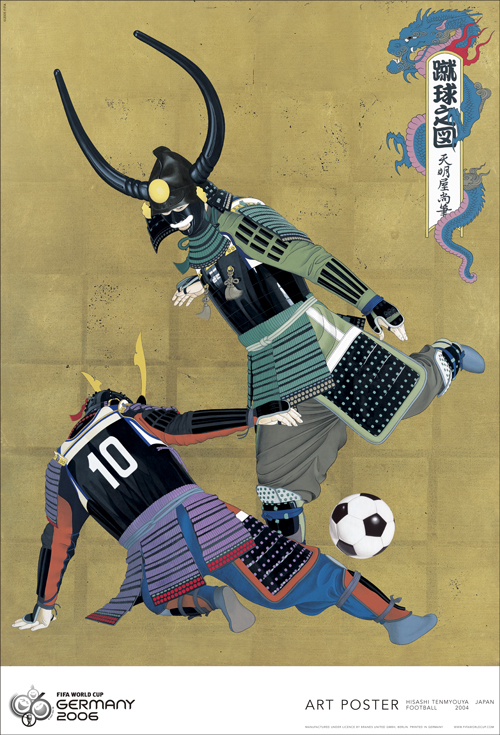 In 2010 he proposed a new art style labelled 'Basara', which further refined the neo-Nihonga works into a clash between samurai and contemporary youth culture. 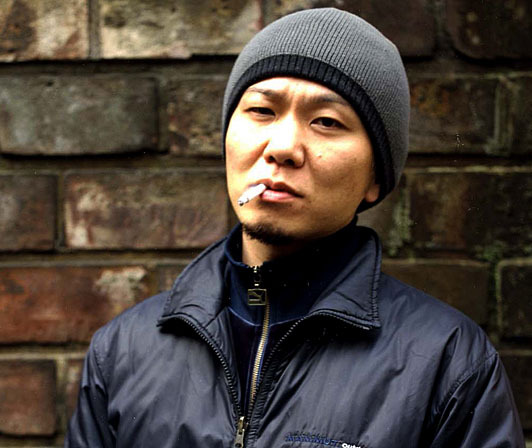 He remains one of Japan's most active and commercially popular contemporary artists. His Mobile Suit Gundam tribute "RX-78-2 Kabuki-mono 2005 Version", for example, sold at auction for US$600,000. 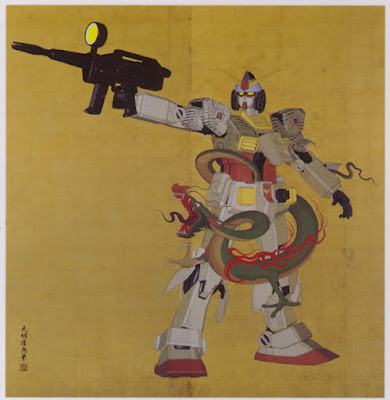 Hisashi Tenmyouya, RX-78-2 Kabuki-mono 2005 Version, 2005. Hisashi Tenmyouya, Nine Kamakura Samurai, 2001. Hisashi Tenmyouya, Black Helmet in the Shape of a Cloaked Robot, 2016. Star Trek: The Next Generation: "Thine Own Self"
Star Trek: The Next Generation: "Lower Decks"
Star Trek: The Next Generation: "Sub Rosa"
Star Trek: The Next Generation: "Homeward"
Star Trek: The Next Generation: "The Pegasus"
Riverdale: "A Touch of Evil"